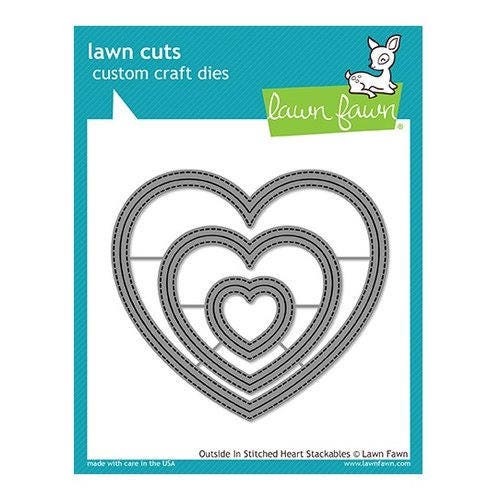 Create heartfelt crafts when you use the Lawn Cuts Outside In Stitched Heart Stackables Die Set by Lawn Fawn. There are 3 thin metal dies included in the package that range in size from 1.375" x 1.25" to 4.15" x 3.75". The dies are made in the USA and are compatible with most die cutting machines sold separately.